Left: After 1930, Florida National Bank operated at 1 North Orange Ave. Right: Today, the original State Bank of Orlando and Trust Company sign is visible. 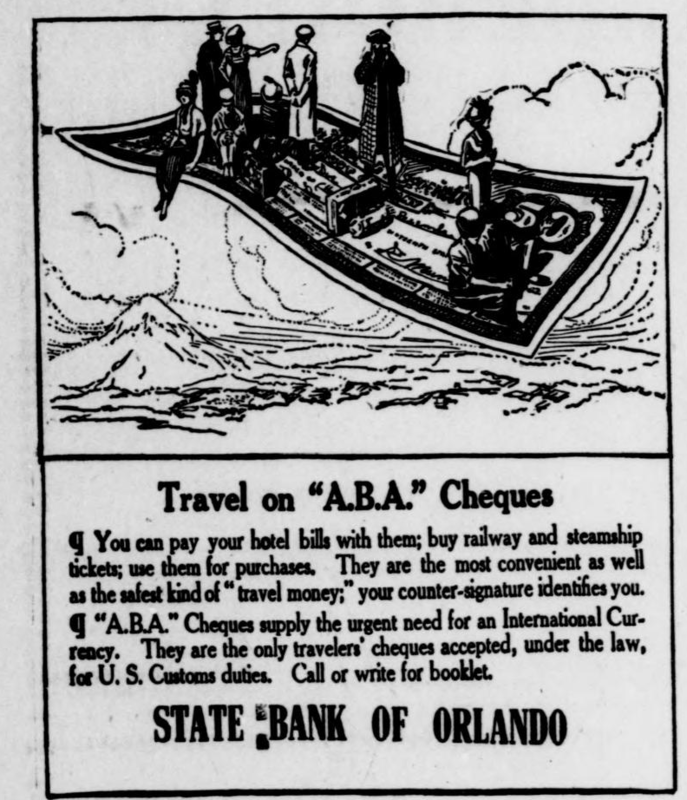 The State Bank of Orlando & Trust Company received its charter and opened in 1893. This was just 10 years after the first bank opened in Orlando and two years before a devastating freeze. Difficult times came to the area because of the citrus freeze in 1895. Two banks consolidated and then closed, leaving much of the community to trade only in cash. The State Bank of Orlando proved dependable and reliable during these challenges. It became the first “million dollar” bank in Orlando and went on to serve the community for nearly three decades. In the early 1920′s, S.B.O.&T. hired New York architect William Lee Stoddart to build their new bank at 1 North Orange Avenue. Mr. Stoddart was known for hotels throughout the South. 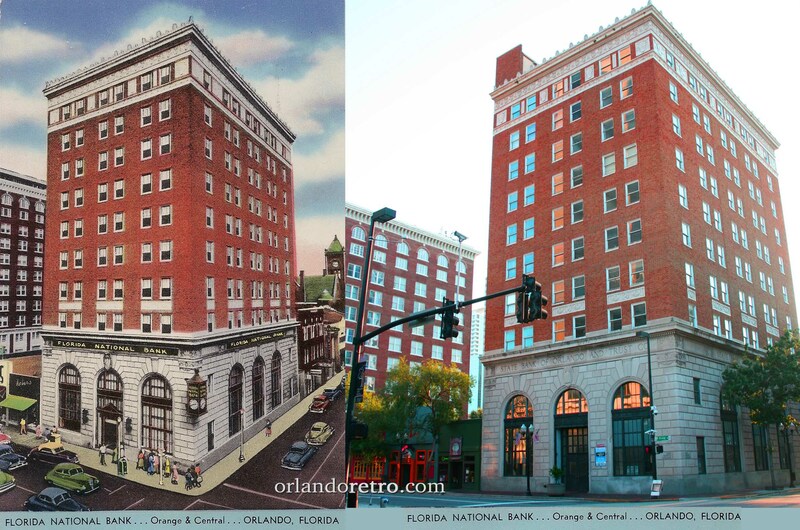 Some of those hotels — such as Asheville’s Battery Bark Hotel and Hotel Charlotte — also designed in the early 1920′s shared similar features as the State Bank of Orlando building. Previously Mr. Stoddart was the architect for a 9 story structure added to San Juan Hotel across Orange Avenue. State Bank of Orlando did business in this nine story brick building for only six years, as it did not survive through the Great Depression years. 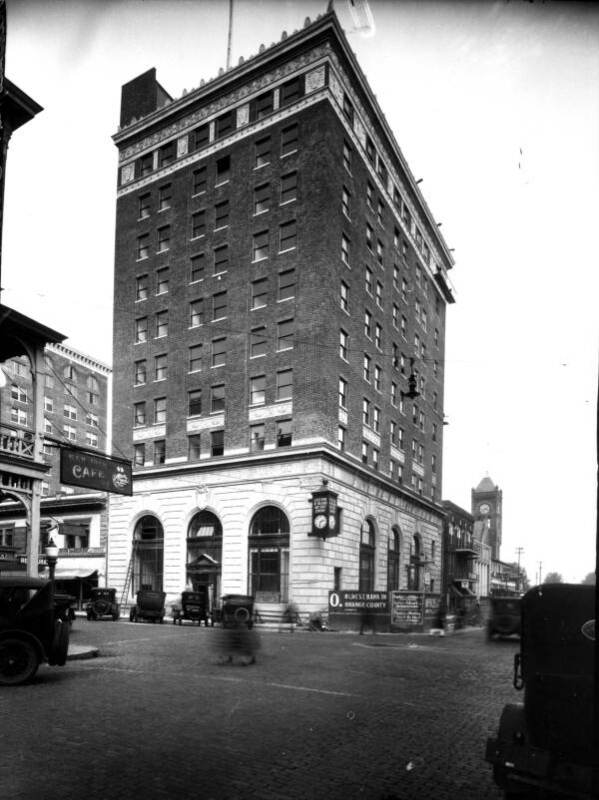 By 1930, Florida National Bank was operating on the site, where it would stay until 1960. Various tenants from Orange County to the FAMU College of Law kept the building occupied in the latter years. It has spent most of its recent years with signs advertising its availability. 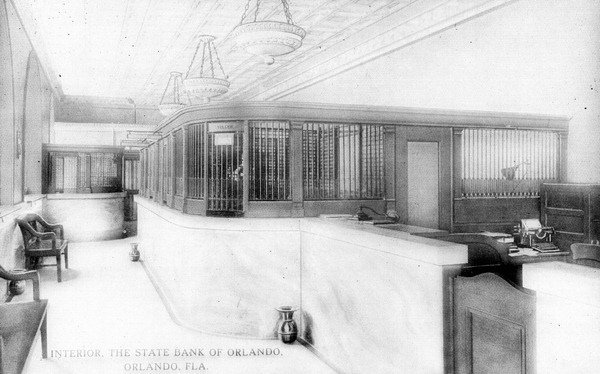 Interior of State Bank of Orlando & Trust, Co.